Preheat oven to 350 degrees. Cream sugar and cream cheese together until smooth. Add the remaining ingredients and mix by hand until well blended. Pour mixture into crust and bake for 30 minutes or until top looks dry with only a small damp spot remaining in the center. Cool completely before serving by refrigerating. If using a hand mixer, take care not to beat too much air into the batter. 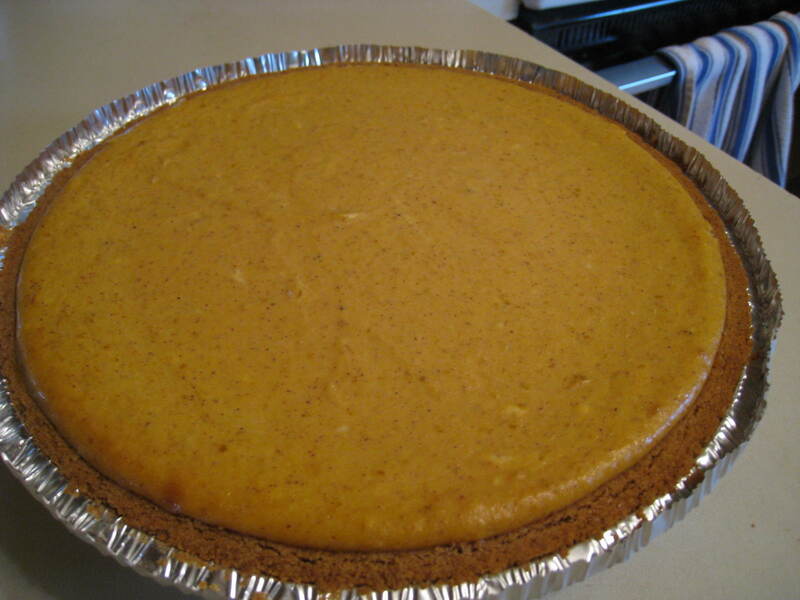 Air will cause the batter to rise during baking and then crack when cooling.